I've been doing quite a bit of decorating (or rather touching up unfinished bits and pieces) around the house. The nursery is getting closer and closer to being complete (we've got a way to go, but steps are being taken!) I went thrifting with a friend, who has her own adorable blog, Domestically Dobson. 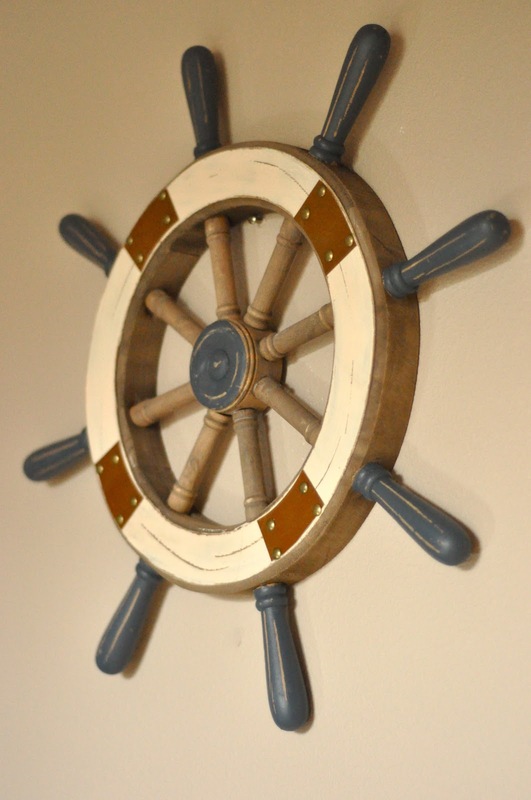 I'm still going with the nautical theme for baby's room. 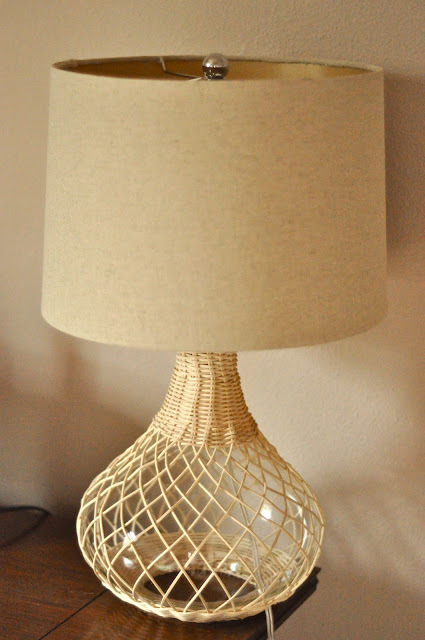 So far I found a cute lamp with some wicker detailing and a boat wheel to hang up. Some other items I'll be keeping an eye out for are a model ship, and a vintage globe. I also got a cute little orange lamp for our bedroom. I had been looking for one since we moved in, almost two years ago. 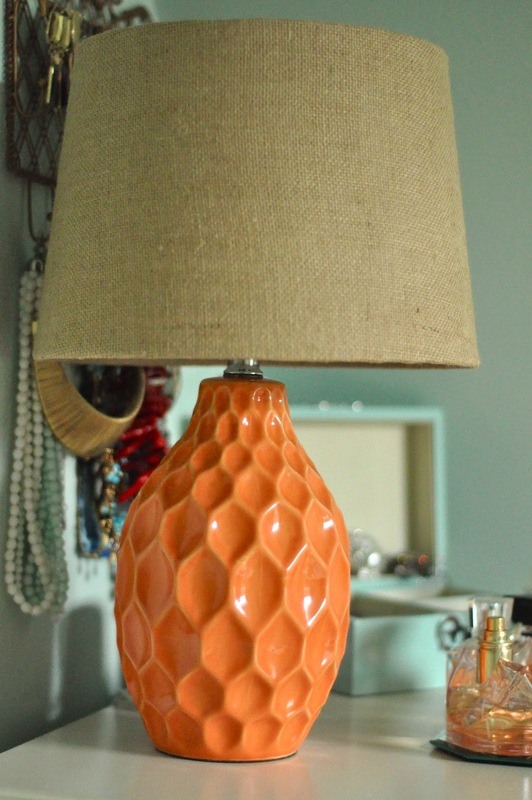 I thought a pop of orange would be a nice contrast in a mostly minty colored room. I was also out garage sale-ing and found these cute glasses. I am super excited to replace my old ones, they were getting boring, but also most of them had broken, so I was down to about four glasses. I'll be posting some pictures from our antique shopping adventure when I get the chance.